The months of January and February can be rough, weather wise. When deciding on a new deck for your home, there are a number of things to keep in mind. Whether if you are looking to have a small, large, single or multi-level deck…the possibilities are endless. As the weather begins to change, preparing and ensuring that your home and new deck will be ready for the snow and ice should be your number one priority, in regards to winter maintenance. If you are looking to invest in a new deck in Michigan, what better time to start saving than a time such as this? Time it right: it’s pretty common for people to get their deck installed in the warmer months. If you schedule your installation between the months of November and March, there’s a greater chance that the rates will be a lot cheaper. 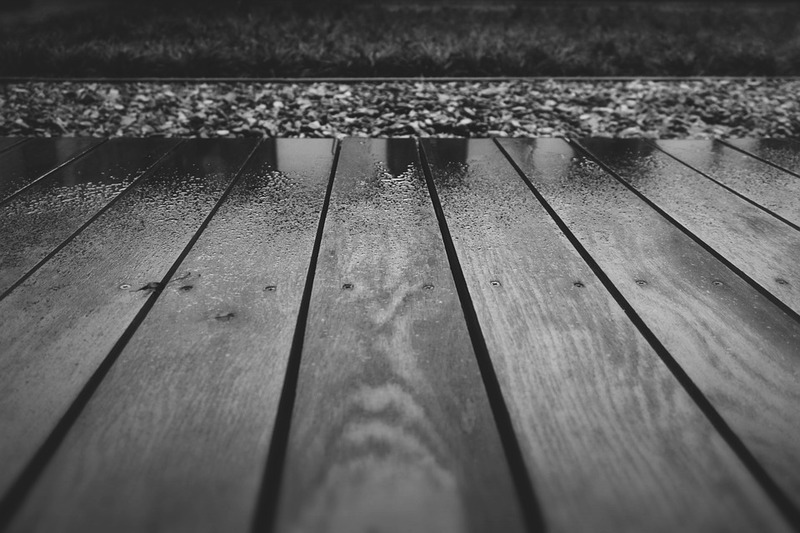 Carefully choose your wood: wood decks typically require annual maintenance, however, if you invest in a composite deck or pressure-treated wood, you will be saving time and money in the long run. Keep it simple: by simply eliminating fancy designs, curves and other features will help to reduce cost. Using things like footings and pre-made concrete piers can help, too. If you are looking for a certified decking contractor in Michigan to install your new deck this season, contact Miles Bradley. As our customer, we promise to provide you with exceptional workmanship and product. Finally, fill out our quote today to start planning the deck of your dreams! Fall, also known as “bonfire and hoodie season” is quickly approaching as we close out our first week of September. Family and friends will gather around fire pits sharing stories, laughter, and making unforgettable memories. It is important to remember throughout all of the fun, that safety still has to be top priority. It is recommended that fire pits be used in areas that are open and away from decks or homes. With portable fire pits becoming more and more popular, it is becoming more frequent for homeowners to being using a fire pit on your deck space. It is important to remember that both wood decking and composite decking are flammable and can be damaged from the heat if your decking space is not properly protected. Here are some steps to take to properly protect your deck from fire or damage. want to be sure that if the wind blows the flames of your fire will not come in contact with anything that may increase the risk of starting a fire. Never place your fire pit directly on your deck. The heat from underneath the fire pit can cause damage to wood decking or composite decking. Damage such as warping, discoloration, or burn spots may occur. To avoid this, you can use fire pit pads, or create your own barrier with patio stones. When creating a barrier, you will want to extend it about two feet in all directions from the edge of your fire pit. This will help with embers or in the event the fire pit tips over, your deck will still be protected. Start your fire and cover with a fire pit screen. This will reduce flying embers and debris, while still allowing you to enjoy a full bonfire. Due to the fact that you are starting a fire on a wood surface, it is important to take extra precautions. Something as small as an ember can cause your deck to catch fire. Be sure to have a fire extinguisher and hose readily available in the unfortunate event does occur. Don’t have a deck? Are you looking to improve the value of your home by having a new deck built? Contact us today! 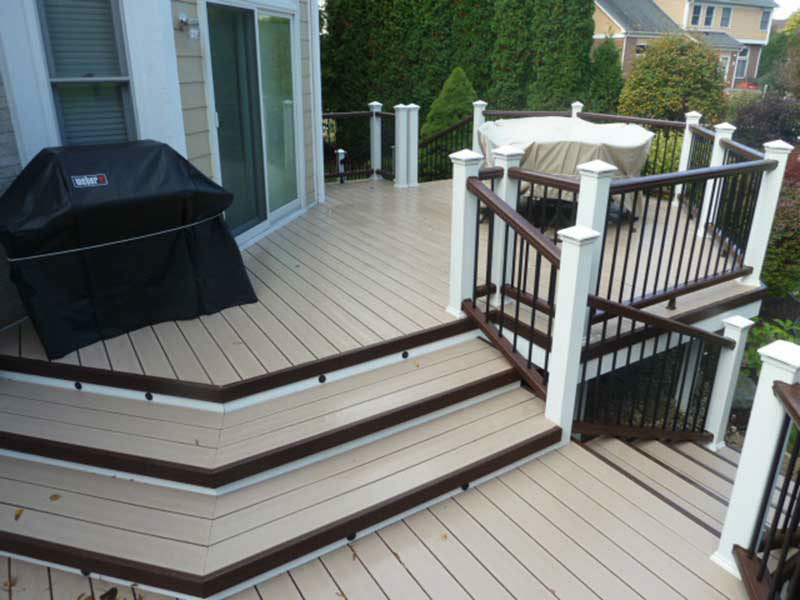 When looking for low cost decks Michigan, look no further than Miles Bradley Building and Remodeling. We have built decks all over Michigan. Also, we are experts at building low cost decks on time and done right. Miles Bradly specializes in low maintenance decks that will be a beautiful addition to your home for years to come. In addition to low cost decks, we also install Gazebos, Pergolas, and Enclosures. In Michigan, there is only one clear choice when it comes to installing decks and that is MIles Bradley. If you are looking to have a deck installed this spring or summer, then you should act now. Beat the rush and request a quote today to guarantee to get your deck installed this year. Act now and get a free 6 Light Rail Kit Installed with Deck Purchase! Deck lighting gives your deck a unique look and ambiance that cannot be beaten. Furthermore, when choosing Miles Bradley to install your low cost deck, rest assured you are getting experienced deck builders that can handle all your needs. Our clients are from all over Michigan, from Canton to Novi, our clients highly recommend us! Also, at Miles Bradley, we are certified Trex Deck Builders. A Trex deck is a low maintenance composite deck, that maintains the look of a wood deck with little to no maintenance. Trex decking comes in a variety of colors to choose from. Our talented representatives can help you decide which is best for you. Miles Bradley has won the Super Service award from Houzz and Angie’s List. Need financing? Here at Miles Bradley, we have financing partners that can help you secure financing for your new deck. Finally, give us a call today at 248-478-8660 or use our easy contact form and see what Miles Bradly Building can do for you!